Under Contract, Price Improvement! WOW Seller offering $2,000 closing cost incentive on acceptable contract. 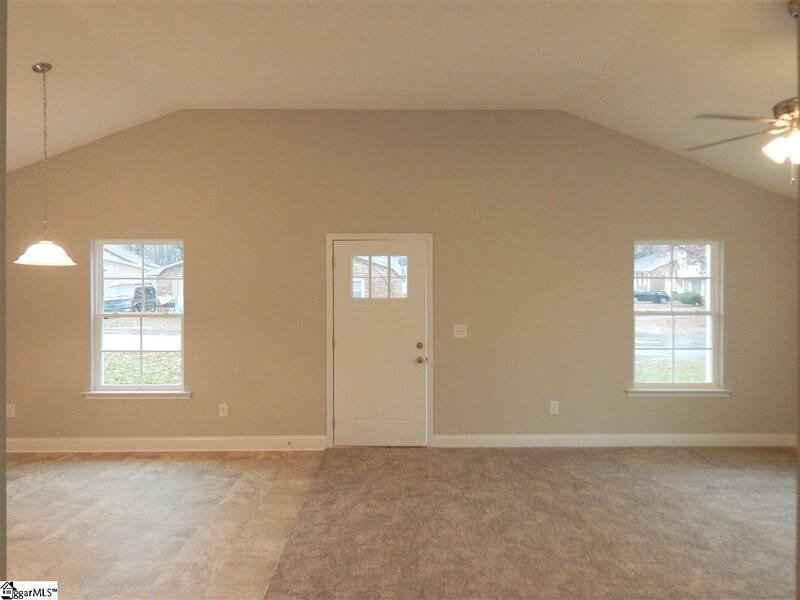 New construction Ranch bungalow! Paved driveway and covered front porch leads you into an open floor plan with kitchen and dining room open to the living room with soaring cathedral ceilings. 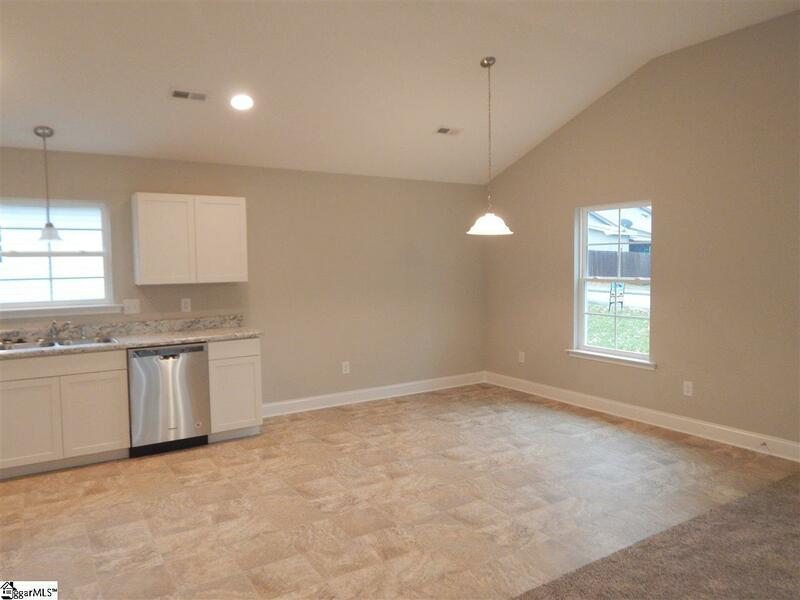 Open kitchen has many cabinets, sink overlooking yard, and stainless steel Whirlpool appliances. Down the hall find the first full bath with large linen closet. The spacious walk-in laundry room also has shelving for extra storage. 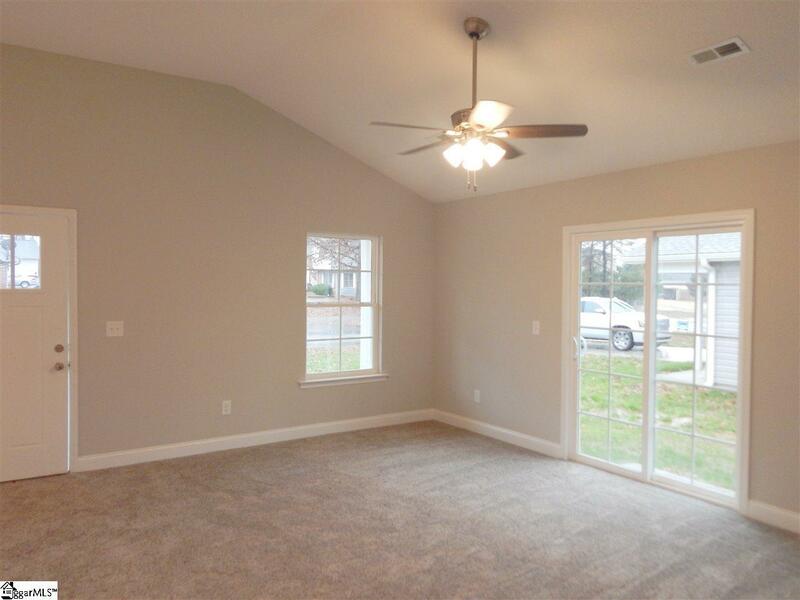 The master suite has a full bath, and a walk-in closet. There are also 2 other bedrooms and a storage area. 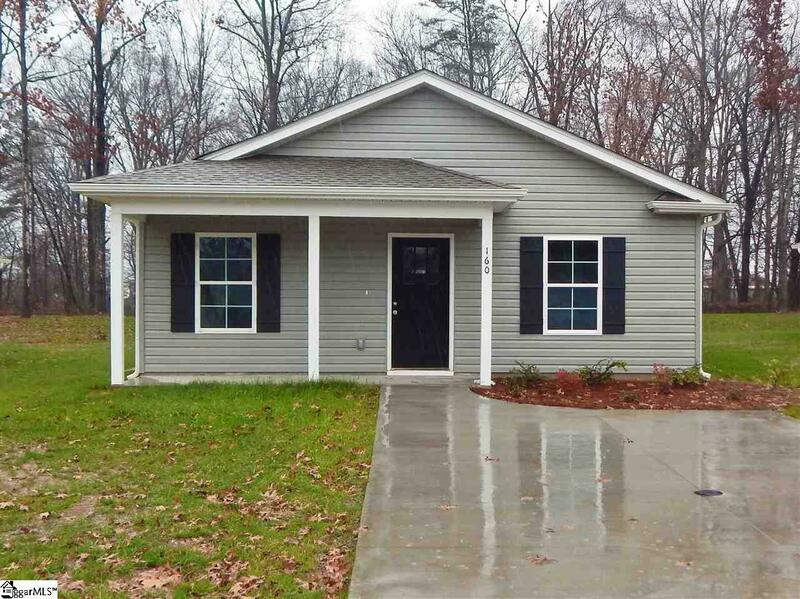 This homes location is great with close access to USC Upstate, and HWYs 26, 85, and close to much dining and shopping!